The new Delaware County Courthouse will open for business on Monday, Nov. 6, according to county officials. A flag-raising ceremony is planned for 7:45 a.m. on Nov. 6 at the new entrance facing North Union Street. A public open house will be held on Sunday, Dec. 3 from 2 to 4 p.m. The new Delaware County Courthouse will officially open for business on Monday, Nov. 6, according to county officials. A public open house is scheduled for Sunday, Dec. 3 from 2 to 4 p.m. 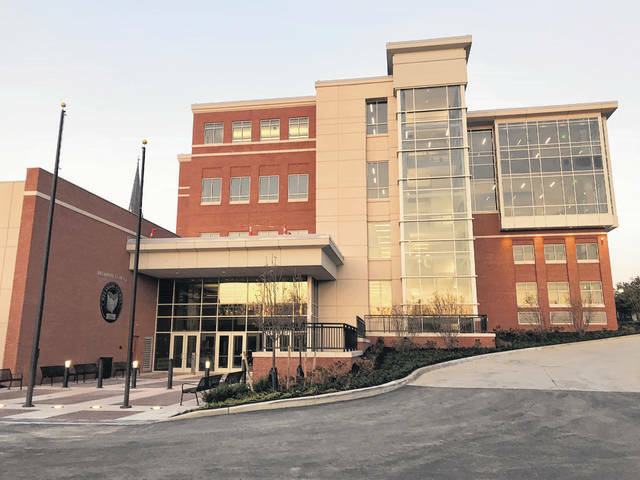 The new courthouse, located at 110 N. Sandusky St. in downtown Delaware, is a five-level, 95,000-square-foot building with courtrooms and work space for the general and domestic-relations divisions of the County’s Common Pleas Court. The Clerk of Courts offices also is located in the building, as is space for public defenders and probation services. Construction, which began in November 2015, cost $39 million and was financed with bonds. The county will host a flag-raising ceremony Monday, Nov. 6, at 7:45 a.m. at the new courthouse’s entrance facing North Union Street. The public is welcome to attend. The courthouse will then be open for business at 8 a.m. The open house on Sunday, Dec. 3 will allow the public to visit the courthouse and learn about its design and operations from staff.